If you've ever wanted to dress like your favorite celeb without breaking the bank, it's time to start shopping at affordable fashion brand Fashion Nova. 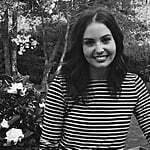 The Los Angeles-based retailer might have launched its online business less than five years ago, but that hasn't stopped it from becoming a firm favorite with stylish stars like Kylie Jenner, Kourtney Kardashian, and Iskra Lawrence, all of whom are often spotted rocking the line on Instagram. The fast-fashion brand has become so popular, Cardi B even gave it a shout-out in her song "She Bad" with the line "I could buy designer, but this Fashion Nova fit." The rapper not only name dropped it in a song but has also designed a 100-piece collection with the brand, which is set to drop in October. The collaboration came about after Cardi rocked Fashion Nova multiple times. Once, she even said the affordable brand is how "rich people like me stay rich." 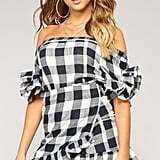 With Fashion Nova's ability to quickly produce the latest trends at unbeatable prices, it's easy to see why the label has amassed a cult following. The brand offers everything including activewear, swim, lingerie, separates, dresses, and accessories, with most pieces retailing for less than $50. From the sleek bodysuit Kylie wore to Coachella to Iskra's pretty ruffled top, read through to see our favorite pics of celebs wearing the budget-friendly pieces, then shop some of our favorites available now.